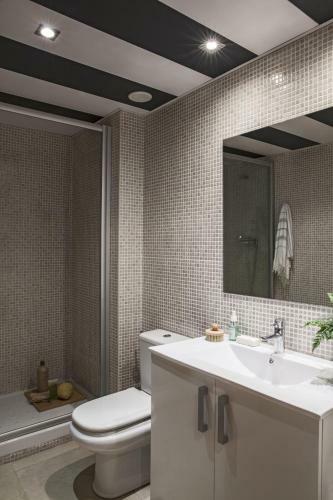 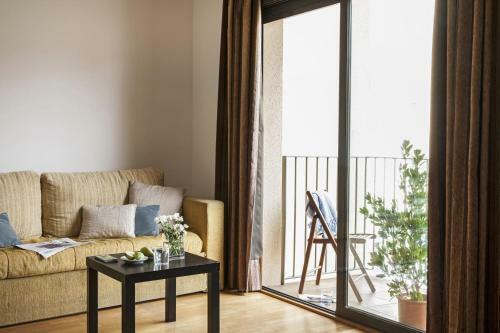 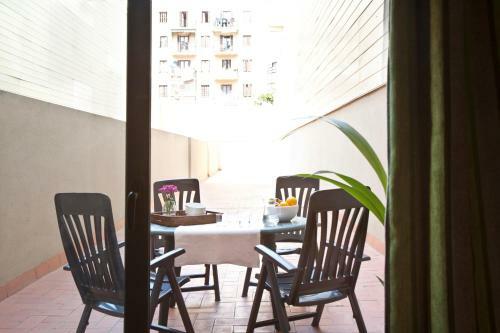 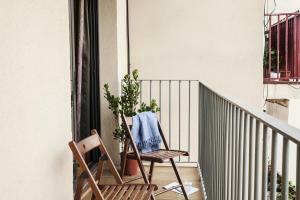 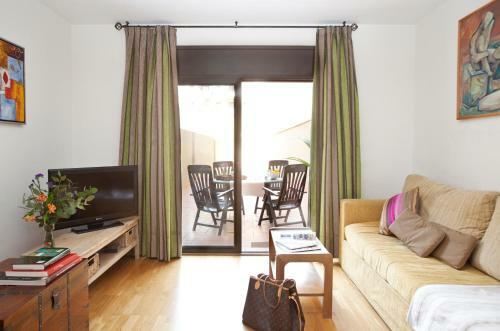 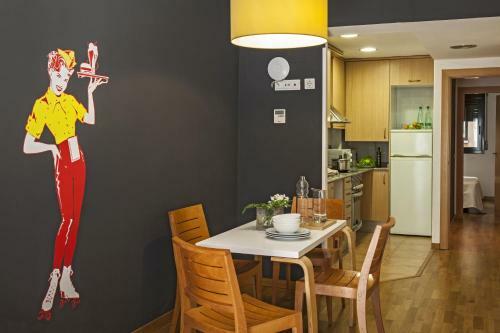 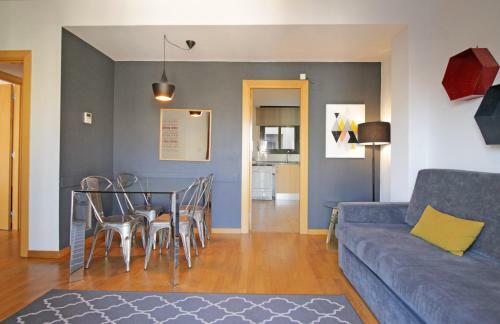 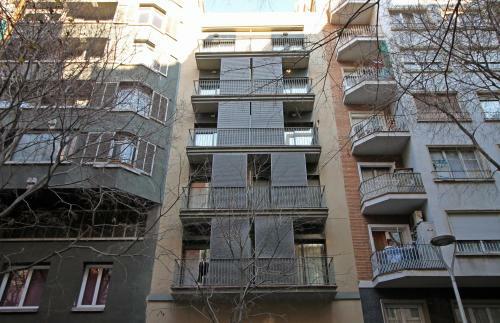 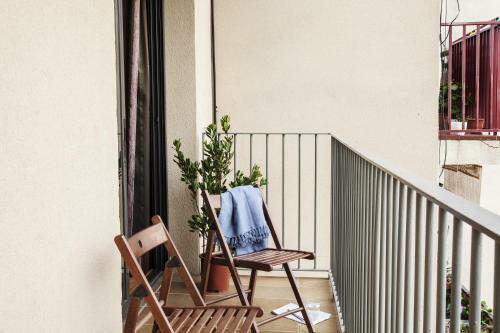 Set very near the city centre, Apartments In Barcelona Entença is attractive accommodation with a contemporary design, and ideally situated for visiting many of the top sites in Barcelona. 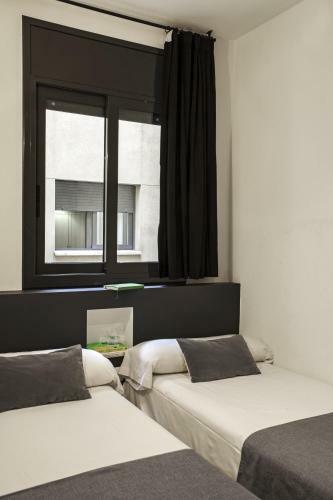 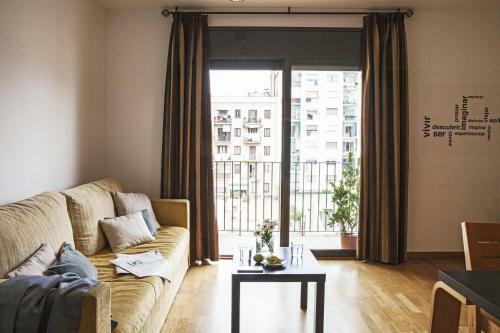 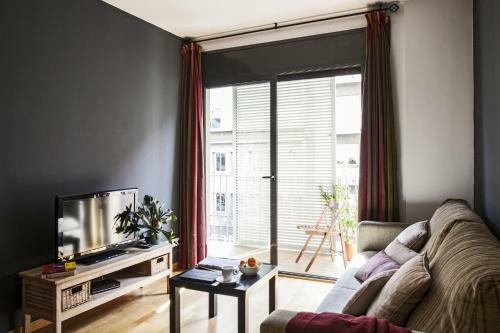 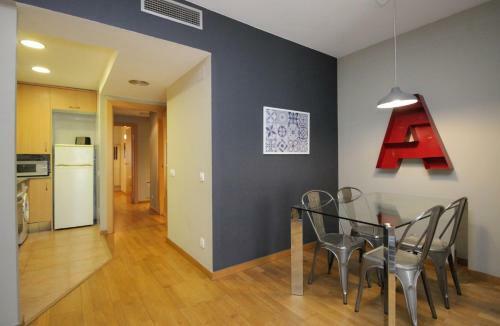 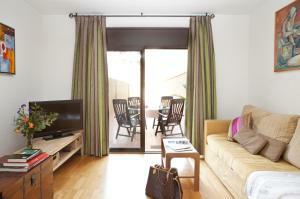 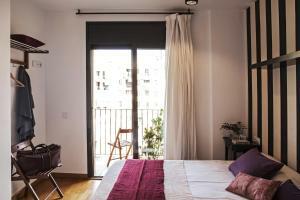 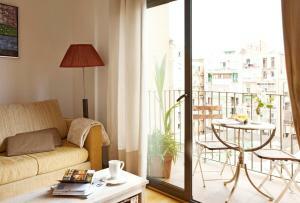 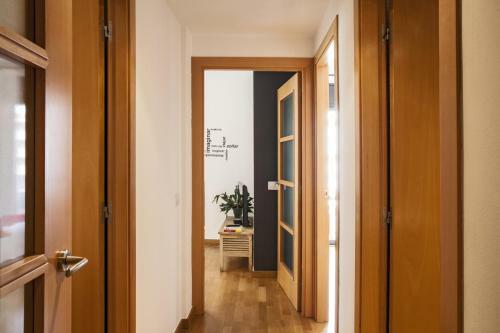 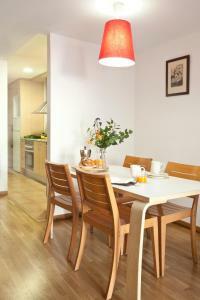 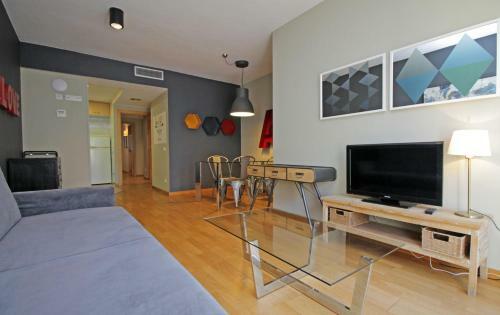 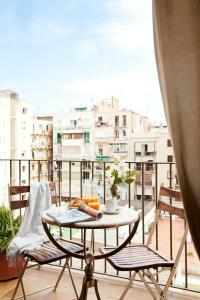 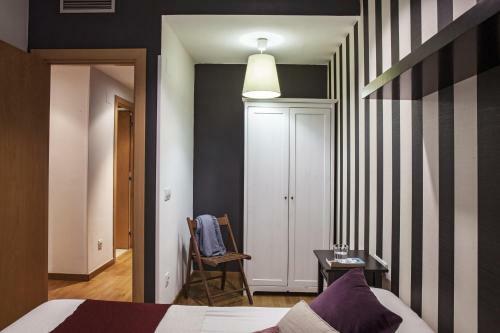 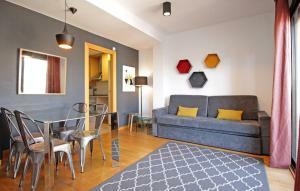 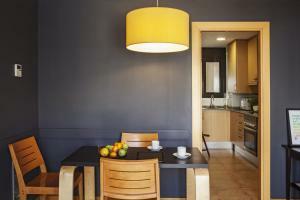 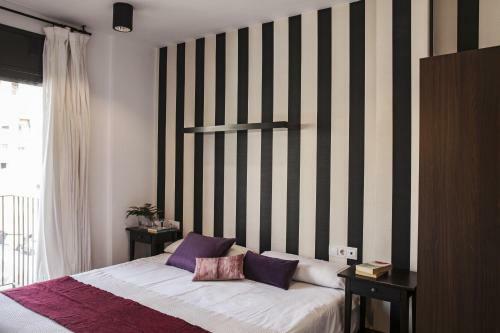 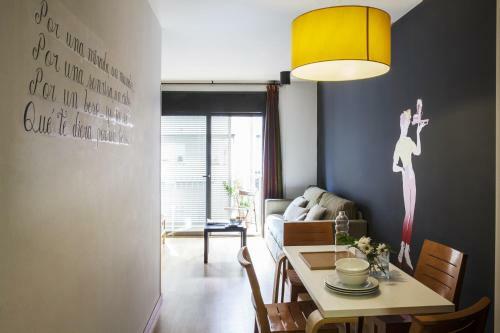 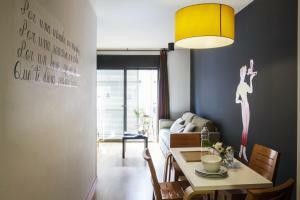 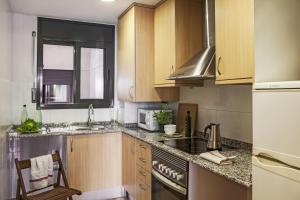 From Entença apartments you can get to Las Ramblas and the Gothic Quarter in 10 minutes by metro. 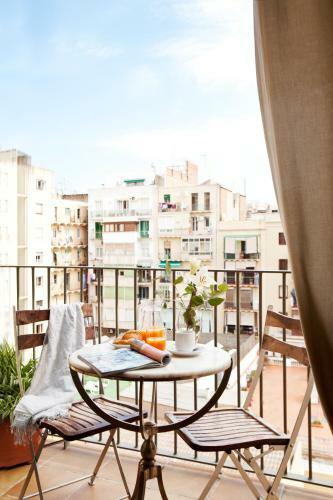 You can also stroll to the impressive Plaça Espanya from here, and from there visit the Catalan National Gallery (MNAC) and the Olympic site. 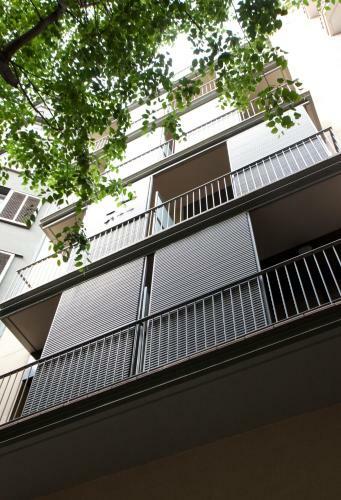 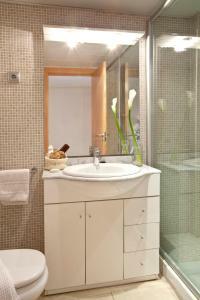 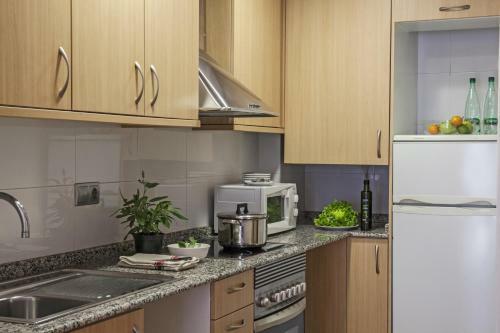 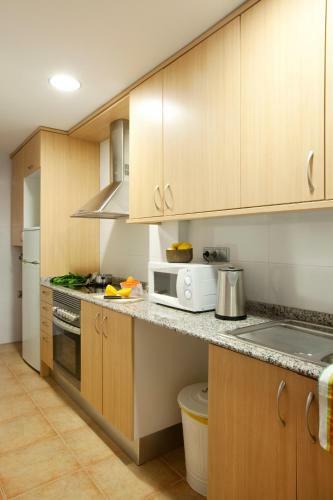 The apartments are well equipped with a kitchen, bathroom and balcony. 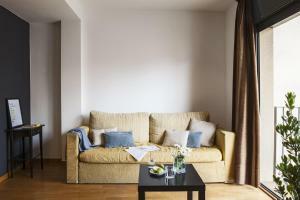 They also have 2 bedrooms and a double sofa bed in the living room. 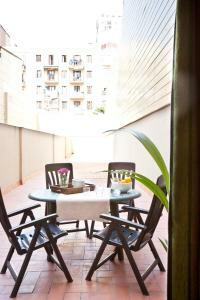 There is a spectacular terrace on the roof, where you can hold barbecues, or enjoy a sunbathe in the summer months. 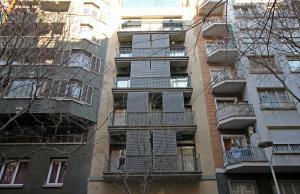 This attractive, air-conditioned apartment has a balcony and a spectacular terrace on the roof. It is well equipped with a kitchen, lounge with sofa bed and plasma satellite TV and 2 bedrooms. 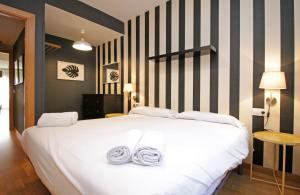 Rate: € 148.50 ... € 315.00; select dates below to get current rates.